Pardon this interruption, but bloggers are people who sit in their mother’s basements and write stuff. Seems pretty bold coming from someone who runs a blog himself. But don’t take it from me; take it from ESPN’s Michael Wilbon. 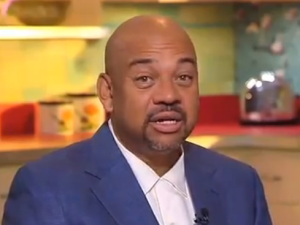 Wilbon, along with Tony Kornheiser, is the co-host of the station’s Pardon the Interruption and is also known for his work with the network’s NBA Countdown. Prior to that, he gained notoriety for his work writing about the sports landscape for the Washington Post. He’s survived a lot of change and done a lot of good work during his career, so I’m not going to take any shots at him in this post (besides the intro, because that was low-hanging fruit). What bugs me now is that people is that people sit in their mother’s basements and write this crap and they don’t have any knowledge of what is going on in that place, and it’s too easy to get it. You can go to a game, you can go to a locker room. The only reason to read this stuff is to tell people why something happened, and if you’re not there, and you can’t tell me why it happened, I don’t care about all your advanced analytics and all the other things you concoct. First of all, I’m not sitting in my mom’s basement right now while I write this article, so he’s kind of wrong with his remarks off the top. Let me say this: he does make a couple of valid points. For starters, when covering a team, it helps to be in the locker room interviewing players and coaches rather than writing about said team from afar. His other completely correct point comes when he says that people read pieces of sports writing to figure out why something happened; that’s absolutely right. That’s why I don’t write recaps here; sports writing is all about the “why” and not the “how”. But the “mother’s basement” put-down and “they don’t have any knowledge” points are simply wrong. While it should be noted that Kornheiser and Brennan weren’t too fond of this new journalism, either, they were at least able to stay away from making blanket statements like Wilbon’s. It’s also ironic that Wilbon is saying this coming off the heels off his company’s shutting down of Grantland, which was the greatest example of modern, long-form internet blogging (in other words, journalism). And about the advanced analytics that he seemingly despises? While we are all entitled to the right to have an opinion, I find Wilbon to be in the wrong here as well. He obviously doesn’t think much of advanced stats in sports, but they aren’t concocted: maybe he should read this article from one of his ESPN colleagues, Tom Haberstroh; in it, Haberstroh combines advanced analytics with solid writing to provide a fascinating lens into the NBA’s gradual acceptance of living and dying by the three. Teams, especially in Wilbon’s area of expertise, basketball, are relying on advanced analytics more and more. All advanced analytics amounts to is another way for teams to make personnel decisions, and teams that ignore them completely are often left behind because they are disregarding information that could really help them in making future decisions. But blogging isn’t all about sitting in mom’s basement and writing about stuff. For example, Jessica Mendoza of ESPN (them again) became the first female announcer ever to broadcast an MLB playoff game. The reason why is because the color commentator she was filling in for, Curt Schilling, was suspended, initially because of a tweet equating Muslims to Nazis. Later, he decided to e-mail a writer at Awful Announcing about his displeasure with their reporting on the initial story about the tweet (AA, ironically enough, was one of the first sites to call Wilbon out on his comments at the Povich Symposium). The site then published Schilling’s e-mail, and he was suspended for the rest of the season, allowing Mendoza to finish off the rest of ESPN’s Sunday Night Baseball schedule and the one playoff game the network aired, the American League Wild Card game. Simply enough, if it wasn’t for Awful Announcing, Schilling likely would have returned to the broadcast booth before the end of the season, and no history would be made. Like it or not, the site changed the course of history for both people, as Mendoza earned rave critiques and may very well replace Schilling in the broadcast booth for the long run. Another, more obvious example of the importance of blogging comes in the form of the Greg Hardy story. As you probably already knew, Deadspin published photos of the aftermath of the domestic incident between him and his ex-girlfriend, Nicole Holder, in early 2014. The images are incredibly disturbing, and no matter where you stand on the story, Deadspin’s publishing of the photos has framed the debate on the issue.  The anger toward Greg Hardy may very well have dissipated if it weren’t for our ability to see those pictures. To conclude, I have a world of respect for Michael Wilbon. Having seen him all over ESPN for as long as I can remember, he always seems fresh and interesting, even as he freely admits that he isn’t quite down with the new way the majority of the people look at sports. His points always bear weight, even as he easily surpasses the topic-to-topic time limits on PTI. They bear weight because of the respect he has among colleagues and people in sports, as well as his vast experience in the industry. But as much as it pains me to say this, he’s wrong on this one. We don’t just sit in the basement in our underwear and write, and we definitely don’t just spit out nerdy statistics for no particular reason. This mass generalization is unfair, but to be fair to Wilbon, some of us bloggers have probably told people of his ilk to “get off our lawn”. I’m not telling Wilbon to do that, but he needs to respect us and the work we do as indicative of the way sports journalism is going. He needs to respect us because we’re people, too. You’re probably reading this and wondering what in the world I’m talking about. Nine years old? Why is that? I’ll explain it near the end of the article. This controversy started when star quarterback Cam Newton’s Panthers traveled to Nashville to play the Titans. Newton’s Carolina team was 8-0 entering the game; no small feat, especially considering the parity that currently exists in the NFL. Newton is their leader, but he’s also a character the likes of which has rarely been seen in the league recently. He’s not afraid to show his personality, and sometimes, that can get him into trouble with the more rigid of football fans. Sunday would be possibly the first time he has been heavily criticized for his in-game antics; he caught plenty of heat for things that happened while he was in college, but that was mainly directed at him for off-the-field transgressions, which were nothing compared to what the NFL deals within regards to some of their stars now. In any event, Newton would lead the Panthers to a late 10-point lead in Tennessee. He played a masterful game, completing 81% of his passes, throwing for over 200 yards, throwing and rushing for a touchdown each in the process. However, the rushing touchdown would be the one that has us talking this week. As you can see from the video, the dance was pretty darn in-your-face. Here’s the thing, though: I really didn’t have much of a problem with it. There are any number of reasons why, but I’ll outline a few of them here. That’s it. And no, you won’t see Tom Brady hitting any dabs on Sunday, but that’s okay. He and Newton are polar opposites as quarterbacks and leaders, but the marked differences between them is what makes their success so interesting. Newton’s team is having the same amount of success as Brady’s, whether you like that or not. If I was 9-0 in fantasy football, I’d probably be dabbing right now, too. 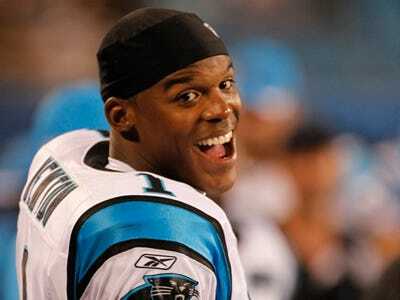 The fact that Newton’s Panthers are 9-0 in real life is more than cause enough to celebrate. Speaking of the Panthers, the man in the picture used to play for them. His name is Greg Hardy. He plays for the Cowboys, he is a lot to handle at defensive end, and his presence has improved the team’s defense this season. He also happens to be a proven domestic abuser, and he’ll also be suiting up for Dallas on Sunday with not nearly as much fanfare as Newton (although that’s debatable; the public protest of Hardy has existed, although very intermittently). If you want to get mad at Hardy, I’m more than okay with that. If you want to get angry at the fact that he’s been playing since week 5, you go do you. But to get mad at Newton more so than you are at Hardy….. come on. You’re just being ridiculous at this point. You could also get mad at the NFL because the quality of their games is completely terrible; that would make sense as well. But, apparently a dance is worse than both of those things, so I’m glad that we have at least established this for the rest of the season. NOTE: Before I get into my next point, let me just say that it will be very divisive. I absolutely loathe using this reason for basically anything inside the sports world, and most of the time, I think people use it because it’s an easy cop out. I didn’t want to do this, and it doesn’t apply most of the time anymore (thankfully), but as I thought about the reasons why Newton has gotten so much backlash, this was the first thing that popped into my mind. After another quarterback did something that should have yielded him double the controversy on the exact same day to maybe half the criticism, I knew why. So, with some trepidation, this is the last reason why people are wrongly criticizing Newton, but shouldn’t…. I still hate this excuse, but this is one of those times when it applies. 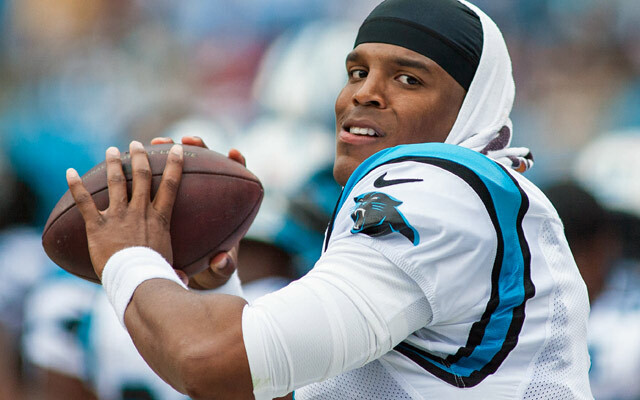 Warren Moon has repeatedly stated that criticism of Newton is driven by Newton’s being an African-American, and at least in this case, it’s true. I’ll explain why it is briefly but hopefully succinctly. So, let’s think: the Palmer gesture was just seeing people and getting excited, but the dab was an in-your-face, outlandish, and inappropriate behavior, showing once and for all that the player in the act of dabbing does not know how to win with grace? Huh, that’s funny. I wonder why that is. Amen. I’ll leave it at that. Our business is just about done here, but to this point, I’ve left one promise unattended to. Yes, I said I’d get into the whole thing about nine-year olds, and the time has come to talk about what relevance they have to this story. Newton is absolutely aware of his standing as a role model, but that term means different things to different people. His mom, Jackie, likely was watching the game whilst he dabbed. And no, that probably isn’t what Cam Newton’s coaches and mentors modeled him for. But it’s what has the Panthers at 9-0, and it’s what has made Newton successful in his young NFL career. Which is why this debate is coated with a dab of stupidity. If Father Time really is undefeated, then we just saw the greatest living example of its power. That example comes in the form of Broncos quarterback Peyton Manning. All that aside, Manning may very well be the greatest regular-season quarterback to ever play in the NFL. But, as many wise people have said, all good things must come to an end, and Peyton Manning’s career has reached the same fate that every other good thing in the history of the world has: the end. The end for Manning has been abrupt. It came without warning. But most importantly, it was no different from what happens to every other NFL player at a certain stage in his career; said player’s skills decline and no team in their right mind would sign that player, so the player is left with no other choice but to retire. And in most cases, those players have absolutely no clue what to do when they reach retirement. Luckily for number 18, he has endorsements such as Nationwide. And Papa John’s. And DirecTV. And Gatorade. He’s prepared for retirement, and that’s a good thing. Unfortunately, retirement will (or at least should) be coming soon. Manning threw four interceptions in Sunday’s home loss to the Chiefs, and looked like a shell of himself for the entire day; he would be benched in favor of backup Brock Osweiler in the third quarter. 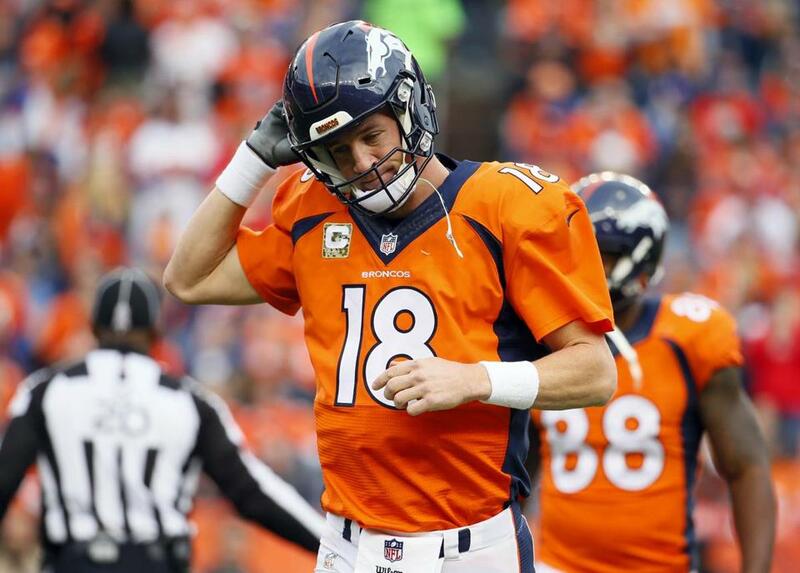 And to put it plainly, Peyton has looked like a shell of himself for about the last calendar year. Starting with a loss to the Rams around this date last year (November 16th, 2014), Manning has thrown 25 interceptions against just 19 touchdowns. This is a sharp contrast from his career 2.15:1 touchdown to interception ratio; if you were to remove the numbers of the last calendar year from Peyton’s resume, his TD-INT ratio would be 2.3:1. He has stunningly thrown an interception in each of the first nine Broncos games this season; to compare, there were nine games last season in which he didn’t throw a pick, so the sharp decline means that something else must be at play here. That thing that is at play is the silent killer of NFL careers; injuries. Before we get into the more recent injury(ies) Peyton is dealing with, the more long term one has to do with the feeling he has in his hands, or lack thereof. If you saw Peyton Manning play for the Colts, you know he had one of the strongest arms in football. I mean, just check out some of the lasers he was chucking for the team in his then-record-setting 2004 season, one that saw him throw an unprecedented 49 touchdowns. Manning would come back to break that record with the Broncos in 2013. He threw 55 TDs that season, but if you look closely, you can clearly tell that his arm strength is fading by this point. This is just me talking here, and I’m not Peyton Manning. But if I had no feeling in my fingertips and I may not ever get them back again, I would probably retire. That being said, his comeback from four neck surgeries in 2011 is nothing short of brave and admirable, and he should be commended for coming back from such a dire state. I still can’t wrap my head around the fact that he was able to play so well without any arm strength or feeling in his fingers for his first two and a half years in Denver. But if it were my decision, I would have hung it up after having the neck surgeries and finding out that I couldn’t feel the tips of my fingers anymore. The other far less serious and shorter-term injury that Peyton has incurred is a partial tear of the plantar fascia in his left foot, which should keep him out at least for this week against the Bears. Osweiler, who went 14-24 for 146 yards after Peyton was benched midway through the third quarter, will take his place in the meantime. Osweiler is not a great option at quarterback but, as painful as this is to say, he’s obviously a better option than Manning at this point. Unfortunately, it’s pretty safe to say that Peyton Manning is at the end of his rope in terms of his illustrious career. His decline is remarkably similar to that of Dan Marino, and while the two will be united in Canton soon enough, Marino’s decline was eerily similar to that of Manning’s; Dan’s team reached the playoffs in his final season and he threw more interceptions than touchdowns in 2000 as well, just like Manning is doing in 2015. Additionally, the only way Manning can reclaim his 2015 season is to get fully healthy again, and while that may take some time, the Broncos have no other option at this point but to bench him and allow his foot injury to heal. Also, it wouldn’t hurt if he magically recovered the lost feeling in his fingertips; it seems to be what has caused his arm strength to go out the window in his Denver years. Peyton Manning is one of the best quarterbacks ever; even though many rag on him for his career record in the playoffs (11-13), he routinely took teams to January that had no business being there without his presence; this is especially true in his years with the Colts. He’s one of the all-time greats, whether he under-performed in the playoffs or not. But there is one opponent he couldn’t conquer: father time. While I don’t usually like writing about 2-7 football teams and I only really write about topics I find interesting, this is a very rare exception. With the circus and everlasting drama that has become the Cleveland Browns’ quarterback situation and the eternal craziness that surrounds new starter Johnny Manziel, this is a team and a state of affairs that is worthy of being addressed. So let’s address it. Basically, you see, what had happened was, Browns starting quarterback Josh McCown was concussed when he tried to helicopter over two Jets defenders in week 1 (that wasn’t the best idea). He was replaced by backup/lightning rod Johnny Manziel, and, put simply, Manziel did pretty well. Manziel, known to that point in his NFL career for his drinking problems and extended stay in rehab to get them under control, had struggled mightily in his one full game last season, throwing for just 80 yards in a 30-0 hammering at the hands of the in-state rival Bengals. 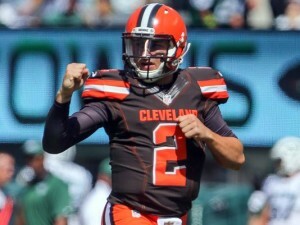 Manziel threw for 182 yards in that game against the Jets, ending the contest with a touchdown and an interception. He would get the start the next week due to the McCown injury and defeated the Titans in easily the best performance of his young career. While he only put the ball in the air 15 times, he threw for two touchdowns, 11.5 yards per attempt, and, most importantly, did not turn the ball over. But the Browns and head coach Mike Pettine decided to go back to McCown in week 3, and McCown rightfully kept the job after averaging 384.67 yards per game for the next three weeks. Unfortunately, losing his starting job led to Manziel, at least in one instance, returning to drinking. Of course, he shouldn’t win the starting job because he has difficulties handling a backup role, but this is simply the most likely reason why this occurred. It’s a shame, but Manziel clearly has to learn how to handle failure, and part of his lack of success in the NFL has been caused by his inability to do so. But that was then, and this is now. McCown’s performance took a step back after his ludicrously impressive three-week run, and he injured his shoulder in a week 7 loss to the Rams. At this point, it was time for Manziel to step in again, and he would lead the 2-6 Browns into Cincinnati last Thursday night to play the team that ruined his debut a year ago. How would he fare? The answer depends on your dissemination of his play. While his numbers are thoroughly underwhelming (15-33, 168 yards, one touchdown), he did something that he failed to do last season: protect the football. Cleveland would lose 31-10, but Manziel orchestrated a ten-play, 92 yard drive for the Browns’ only touchdown right before the end of the first half. His second half was marked with inconsistency, but he was still able to protect the ball through his struggles. So why exactly is it time to give the keys to the offense to Manziel, even when McCown has clearly played better? For one thing, youth is obviously on Manziel’s side (he is 22; McCown is 36) and at this point, Manziel has the higher ceiling. The Browns fell to 2-7 with the loss on Thursday, and it became apparent a long time ago that they aren’t going anywhere in 2015. Letting Manziel play out the rest of the regular season serves a dual purpose; 1) the organization can figure out if Manziel can sustain his somewhat impressive play and 2) if Manziel fails, the team will realize this, lose, and probably get a high draft pick. They could use that high draft pick on a quarterback (California’s Jared Goff and Penn State’s Christian Hackenberg are the two most highly-touted QBs in this year’s class) and move on from Manziel/McCown. Where he then proceeded to play so badly that the Buccaneers cut bait after one year. Explain to me exactly how this somehow prepares the Browns for a bright future? Or any future? Of course, the team is presently led by Mike Pettine. Oh yeah, that’s right. Mike Pettine. Pettine has been consistently lukewarm toward his current starting quarterback’s style of play, and he is not overly appreciative of Manziel’s tendency of create plays outside the pocket. When asked by reporters about his quarterback’s performance against Cincinnati, he responded in exactly the manner in which you would expect. These are all real quotes. It’s not a surprise, then, that the Browns had it taken to them in the second half. But that isn’t Manziel’s fault; why is his coach emphasizing his inconsistency and stressing the need for the team to look at all options instead of just letting Manziel play? I honestly can’t tell you why this hasn’t happened already, but the Browns really should give Johnny Manziel a chance. And a real chance at that; don’t just give him another game or two and hand the reins back to McCown. The former has shown that he is at least capable of playing at the professional level, and he should be given an opportunity/audition to prove that he can be the team’s franchise quarterback going forward. If the team elects to go back to McCown, though, it will probably be setting itself further back. A move like this would disallow the team to get a good look at a very clear future. That very clear future is Johnny Manziel. One of the NBA teams widely predicted to succeed and make the playoff in the 2015-16 season was undoubtedly the Houston Rockets. 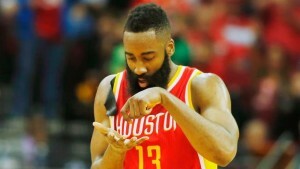 Of course, the best laid plans of mice, men, and should-have-been-MVPs often go awry, and the Rockets have started 2-3. They lost their first three games, and, most importantly, all by at least 20 points. Granted, the team has won its last two and still has James Harden and Dwight Howard, but is it time to panic in Clutch City? The short answer is yes. The long answer, as is always the case, is far more complicated. One of the good signs for Kevin McHale’s team is that it has not gone back on its style of play in the early going. The team attempted 32.7 attempts from three-point range last season, and this season they’re not too far off that pace. They’re all the way down to 31.4 attempts per night. Still leading the league in beyond-the-arc attempts like they did last season, the Rockets aren’t about to go back on what has worked over the last three seasons. But, of course, taking three point shots is the second most important thing for the Rockets. The absolute most important thing is to actually make them, which is something that the Rockets have not done with really any success this season. I never really thought I’d actually find myself saying this, but the loss of Josh Smith has not done Houston any favors in the three-point department this season. Smith only shot 33% from deep a year ago, but his presence helped James Harden and others get open looks. It’s a kind of domino effect; when Smith left, the other players (Harden, Corey Brewer, Ty Lawson, others) weren’t able to get quite the same open looks that they were last season. Really, the inability to shoot from three is the main reason why the Rockets have struggled this season. And as much as I appreciated and respected what James Harden accomplished last season (who remembers this one? ), it’s difficult not to call him out for just how badly he’s struggled in the early going. From beyond the three-point line this season, he’s a lackluster 9-55, and on all of his field goals, he’s gone 30-102. If you look at his numbers from beyond the arc compared with his other shooting numbers, something becomes very clear: he’s taking more threes than twos. Last season, 37.8% of his field goal attempts were threes, but considering that he is asked to carry so much of the load for an otherwise mediocre Rockets team and that he is a career 37% three-point shooter, that number is…. healthy. For his career, his three-point attempts have accounted for about 40% of his field goal tries, which is sort of high. For context, the best three-point shooter in the game today, Stephen Curry, has used about 41% of his attempts on threes. All things being equal, Harden just isn’t aggressive enough. To be completely fair to Harden, free throw attempts do comprise a large part of his game, and this year is no different (11.8 per game, 85%). But he still needs to be aggressive, and it’s no different as far as the team is concerned. The entire squad is shooting just 27.4% from deep this season, and Harden’s 16.4% figure is the biggest reason why. If Harden isn’t making baskets, it becomes infinitely more difficult for others to get open, kind of like the aforementioned domino effect with Josh Smith. Harden will undoubtedly be fine, and with Lawson finding more of a comfort level within the offense, things will improve. It’s just the inconsistency that leaves you shaking your head considering how talented the Rockets are and how they’re not playing to their potential. The inconsistency and the struggles from the field are two biggest reasons why the Rockets have struggled so far. Another explanation for why they’ve fallen short of expectations? Defense. To date, the Houston defense has surrendered 109 points per game, the fifth most in the association. That unit has floundered along with the offense. If you put the two together, you’ll get this result: a -10 point differential. Granted, it’s five games, and the team will make up the difference; not one team had a point differential as bad as -10 a year ago (not even the Knicks). But this is the problem: it would be more likely that the difference is made up by the Rockets’ offense coming around than the defense suddenly turning it around. One cannot simply expect the team to continue to fight its way through inconsistency and come up with lousy results. This is too good of a team for that to happen, and with the reigning runner-up for MVP on the roster and the talent that exists, things will even out and the team will (sooner or later) escape from its short-lived swoon. But, with things being what they are (and the Western Conference still being insanely good), there is some reason to panic in Clutch City. Given how quickly things change in a conference where just about every night brings a challenging contest, the Rockets need to figure out their issues that much more quickly if they want to have a middle to even high seed in the playoffs and a realistic chance to win a championship. They’ll be fine eventually, but there should be some reason for urgency (but not necessarily concern) inside the organization. But, I think this would be a good time for all Rockets fans to just close their eyes. It will all be over soon. The New England Patriots could really go undefeated this season, which would have really sounded like a ridiculous statement on September 2. Of course, the long national nightmare that was Deflategate ended the next day and Tom Brady was rightfully exonerated of any known wrongdoing in the matter. He would miss no games. The Patriots were set. And by set, I mean…. they were on their way to continuing their complete reign of terror over the rest of the NFL. It started with a seven point win over the Steelers on the Thursday night to commence the season (the Steelers only lost by a touchdown, but they also scored on the last play of the game to make the score this close; the only real consequence of the final play was suffered in Las Vegas, and we know how important that is). What came next would be a 40-32 squeaker over the Bills, but the Patriots were leading 37-13 going into the 4th quarter. So they really dominated both games in the first two weeks of the season but only won each by one possession. If you think that this is a sign of the team “leaking oil” (they had two more one-possession wins against the Colts and Jets), well…. you’re probably right. 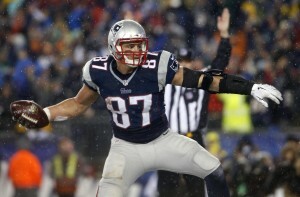 But there is also the very present and real possibility that the team could go undefeated this season. There are a couple of similarities that everyone knows between the 2007 Patriots, the last undefeated regular season team in the NFL, and this year’s team. There are three to be exact. Here they are, in no particular order. Literally, that’s it. The obvious similarities end here, which is not a surprise considering that the undefeated run happened eight years ago. So much changes in the NFL from year to year, let alone week to week (See: Kaepernick, Colin) and the fact that there are even this many parallels between 2007 and 2015 is nothing short of a shock. What are the differences? There are some (mostly personnel and not talent), but interestingly enough, defense is not one of them. The 2007 New England Patriots defense allowed all of 17.1 points per game, which ranked fourth in the league that season. Last year’s Super Bowl winning Patriots squad gave up 19.6 points per game, but their defense helped them win two games that they probably should have lost in the first month of the season. This year’s defense, although with very different personnel, is actually putting up very similar numbers. How similar? Actually, they aren’t just similar, they’re even slightly better. Last year’s team was 13th in the league in yards allowed, surrendering just over 344 per game. This year’s team is actually allowing more yards per contest (346) but somehow rank 12th; this is probably due to the constantly improving state of offense in the NFL…. and the league’s defense-deterring rules package. In terms of points per game, the 2015 defense is again doing better than last year’s defense, amazingly. This year’s D is only allowing 19 per game, and they’re doing it without Vince Wilfork, Darrelle Revis, and Brandon Browner. About those losses. They really should be what would make this year’s defense a liability. The Patriots defense really should not be all that good this season. Losing Wilfork, Revis, and Browner is to the Patriots after last season what losing Richard Sherman, Byron Maxwell and Brandon Mebane would have meant to the Seahawks a season ago. That team only lost Maxwell and while they’re still second in the league in yards allowed, their defense isn’t quite as dominant as it was at this time last year. The Patriots’ is somehow better. And as for the offense, well, you know about the offense. I don’t need to tell you about how Tom Brady is probably the greatest quarterback ever, or how Rob Gronkowski might be the greatest tight end to ever play by the time he’s finished, or about how Julian Edelman has filled the role of Wes Welker (and then some). I don’t need to tell you about any of those things because you already know, and this incredible offense is still the main reason for New England’s success, and as long as Brady is at the helm, it always will be. And, take it from me, NFL: You have ten years left of this (or thereabouts). The real reason the Patriots should have hope for an undefeated season is obvious: the schedule. They have, at this moment, exactly two games remaining against teams who are over .500, and while they have one more road game than home game from here on out, it’s easy to see how they could run the table. They still have two games left against the AFC South (against the Texans and Titans, who, at 3-5 and 1-6, respectively, could still win the division) and an additional three remaining over the NFC East, which really isn’t good either. The schedule, combined with the talent on the roster, are the main ingredients for an opportunity at an undefeated season. The team faced only six playoff teams in 2007, and do you know, on their previously played and remaining 2015 schedule, how many current playoff teams are on it? Six. Serendipity, but really, just an easy schedule. But more than anything, this is an amazing team that, through all of the drama and craziness surrounding them over Deflategate, stayed the course and reached a new level of play that they had never attained previously. And that’s the most astounding part of what the Patriots have done in 2015. With all of the losses, all of the insanity around the team over the summer, all of the challenges that come with trying to repeat as Super Bowl Champion. Through all of it, absolutely nothing seems to matter when it comes to their success. Nothing. With the week-to-week nature of the NFL and the fact that this edition of the Patriots isn’t as dominant as the one from 2007, the team probably won’t go undefeated. But everything is in line for them to do so, and if they play the way they are capable of playing week in and week out, they’ll probably be able to pull it off. Which means that it’s more than okay to start discussing the possibility of it now.